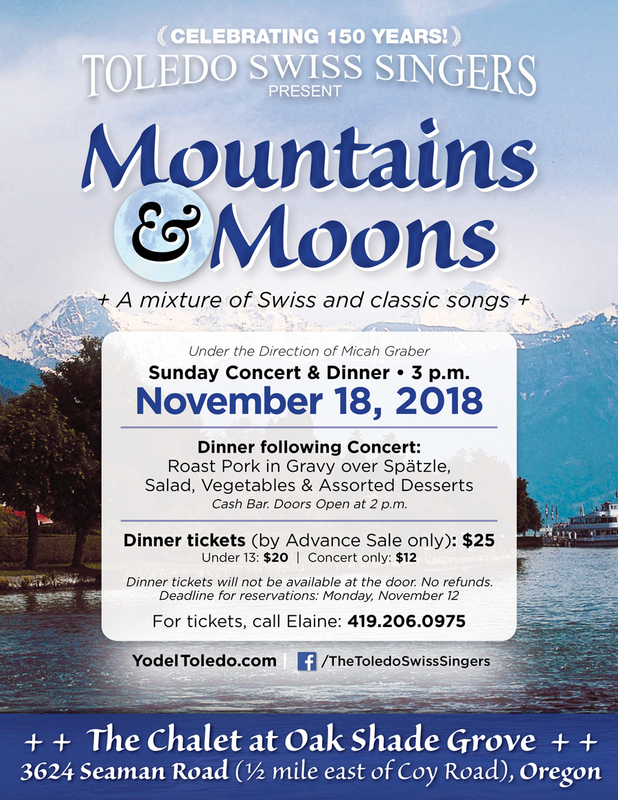 The Toledo Swiss Singers, one of the area’s oldest singing groups, will open their 150th season at their fall concert Nov. 18 with a celebration of music, friends and good food. 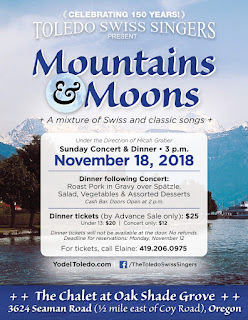 The concert, titled “Mountains & Moons,” will feature familiar and classic songs, along with traditional Swiss songs. The special Sunday afternoon concert begins at 3 p.m. with a roast pork dinner served following the performance at The Chalet at Oak Shade Grove, 3624 Seaman Road in Oregon. Concert and Dinner tickets are $25, with $20 tickets for children under 13. The deadline for reservations is Monday, Nov. 12, with only concert tickets available at the door for $12. For tickets, call Elaine at (419) 206-0975. Currently under the direction of Micah Graber, the choir has been a cultural staple in the Toledo area since 1869 — that’s 150 years of celebrating Swiss culture in the area. The chorus in its current form has been around since 1924. Its aim is to retain and preserve the culture and songs of Switzerland, to live up to the singers’ ancestors’ tenets of faith and behavior, help others, and to be good citizens. 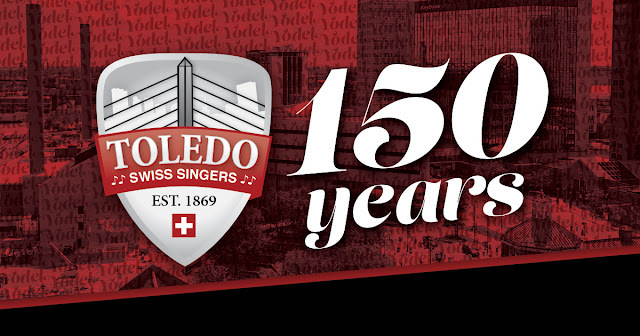 In honor of the 150th anniversary, The Toledo Swiss Singers launched a new website, YodelToledo.com, and unveiled a new logo, with the Veterans’ Glass City Skyway in the forefront. It was a memorable summer for The Toledo Swiss Singers. 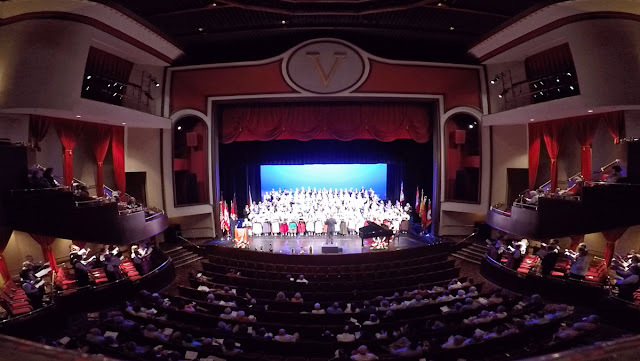 The Singers hosted hundreds of singers from more than a dozen choirs from across North America for Saengerfest 2018, an international showcase of Swiss culture in June on the historic stage of the Valentine Theatre. The group is part of the North American Swiss Singing Alliance (NASSA), made up of 14 choirs from Canada and the U.S. Singers compete internationally every three years; the next competition will be held in June 2021 in Edmonton, Alberta, Canada.